Iowans who are prepping their cars for winter may top off the antifreeze level in their engine, but the experts at the Iowa Poison Control Center remind, be careful with those chemicals. Registered Nurse Jean Hammack says antifreeze comes in an array of colors, including green, blue, pink and green, but all of them are hazardous if swallowed. Because of the color and sweet taste, children often mistake these chemicals for drinks, while pets may lick up spilled fluid from the floor. 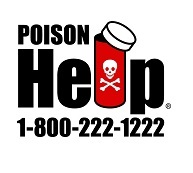 Hammack says to keep the poison center number programmed into your phone — 1-800-222-1222.